Today, March 1st, is a special day. It’s special for a couple of good reasons. First, it’s my birthday!!!! Yay! Go Leslie! Second, it is the start of Women’s History Month. 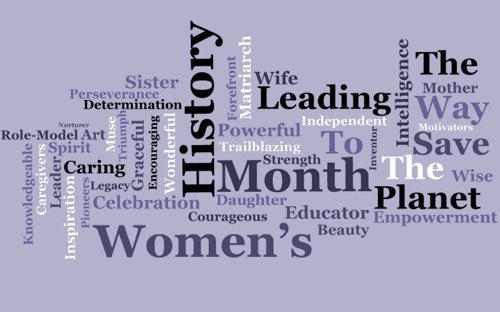 This month, we celebrate the accomplishments of many different women, past, present, and future. Normally we focus on what women have done in the past, during this month. I am going to switch it up and talk about what women are doing in the present, and the future! We have a lot of great women, and girls, doing great things for this planet! Some of those women will be appearing on our show, Let’s Talk Live. Jolene Ivey: Jolene has been a delegate in Maryland’s house of delegates, representing and advocating for her constituency. She is currently the running mate of Doug Gansler, who is running for Governor of Maryland. As Lt. Governor, Jolene would be the first African-American Democrat Female Lt. Governor EVER. Hard to believe that the Democratic Party has never had a black woman as Lt. Governor of any state! Well Mrs. Ivey looks to change that! Nina Turner: Nina Turner is currently serving as a State Senator for the state of Ohio. Nina is currently running for Secretary Of State. Nina firmly believes that the right to vote is a right that should never be taken for granted, or taken AWAY. With the onslaught of laws that are being passed to make it harder to vote, Nina Turner is dedicated to ensuring that all people have that right! Valerie Ervin: Valerie Ervin was the first African-American elected to the Montgomery County Council, in Maryland. After faithfully serving the people she represented, she recently stepped down to lead The a Center For Working Families. Valerie realizes that Americans succeed when working families succeed! Teleflora: Teleflora is a company, but it is a company worth acknowledging during Women’s History Month. You see, Teleflora is a major company run by women! Flowers are big business in the lives of women, with Mother’s Day being the biggest day of all. The fact that this company is owned and run by women is worth praise and respect during this month, OUR month. We are certainly looking forward to continuing our support of this company! There are so many other outstanding women doing great things, and so many more who will be appearing on our show. 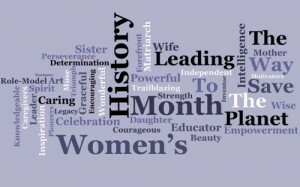 Throughout this fabulous month of March, we will be featuring not just those on a national and statewide platform, but those women who are making their families work, raising their children, working jobs to put food on the table, and those women who are enjoying life, and enjoying being WOMEN!